A typical early settler of Nebraska is represented by the gentleman above mentioned. He has lived many years in this section of the country, and has been a part of the growth and development of the region, building up for himself a substantial home and fortune by his perseverance and thrift, and has come to be one of the foremost citizens of Antelope county. Mr. Whitmore is a native of the state of Michigan, born in 1849. His father, Horace Whitmore, lived to the good old age of eighty-two years, passing to the great beyond in 1899. He was of English descent. Our subject's mother, Desire (Hill) Whitmore, was a native of New York state, and was of English descent also. In 1882, Mr. Whitmore came to the state of Nebraska, locating in section three, township twenty-three, range six, buying one hundred and sixty acres of land from Mr. Morona Derrz, on which land he put up one of the finest frame houses in that section of the country at that time. As Mrs. Whitmore says: "Our house was fairly good for that time, for nearly all the houses were very small--but this looks very small now." Mr. Whitmore was united in holy matrimony in 1873 to Miss Elmira Brown, a native of Pennsylvania, and five children have been born to Mr. and Mrs. Whitmore, their names being as follows: D. C., who married Miss Mary Andrews; Floyd, Ralph, Roland, and Nettie M. Whitmore, who married John Holmes. Mr. and Mrs. Whitmore and family are very highly esteemed and respected by all who know them, and during their twenty-nine years' residence here, have gained the friendship of a wide circle of acquaintances, and their home is hospitably open to hosts of good, substantial friends. Herman J. Hecht, treasurer of Pierce county, Nebraska, came to this state in the spring of 1884, with his parents, who bought a relinquishment on homestead and timber claims, six miles northeast of Plainview. Our subject attended the country schools, and graduated in 1888 from the Plainview high school. Mr. Hecht began life for himself about the time of his marriage in 1894, farming on the home place for a year or two, and later on rented. He then bought the southwest quarter of section eleven, township twenty-eight, range four, at twenty-five dollars per acre, and later eighty acres adjoining. He owned a tract in South Dakota, which he traded for a residence in Pierce. He owned four hundred and eighty acres in Colorado, which he sold, and purchased half of section one, township twenty-six, range four, in Pierce county. Since his election as county treasurer in 1907, Mr. Hecht leases his farms, having a good, tenant on each place. Mr. Hecht is a son of Christian and Ida (Deerson) Hecht, natives of Holstein, Germany, who came to America in 1851 or 1852, and settled first at Joliet, Illinois, and later moved to Momence, and then bought a farm in Yellow Head township, Kankakee county. They engaged three years in the hardware business at Grant Park, whence they came to Nebraska. Mr. Hecht was married at Plainview in September, 1894, to Miss Elsena Rasmussen, a native of Chicago, Illinois, whose father, Hans Rasmussen, emigrated with his family from Denmark. Mr. and Mrs. Hecht have one child, LeRoy. Mr. Hecht is a republican, and has filled the office of county treasurer so satisfactorily that he had no opposition for re-election in 1909. He is a member of the Masonic lodge at Pierce. Mr. Hecht has known what is meant by pioneer life, and has witnessed some of the severest western blizzards, and fought prairie fires. He was attending school at Plainview during the blizzard of January 12, 1888, and he and Mr. Nelson stretched a rope from the school house to a church in the heart of the town, which the children followed, and were taken to their homes. Herman J. Hecht is a model citizen, and has proven himself an estimable and useful member of society, and an official whose efficiency and integrity cannot be questioned. James H. Gourley, who formerly resided on section thirteen, township fifteen, range eleven, is one of the best known old settlers of that locality. He is a business man of more than ordinary ability, and in the building up of his fine farm his good judgment is evidence and his enterprising spirit displayed, he now being classed among the prosperous and successful agriculturalists and stockmen of Howard county. Howard county, the year following, and the father died here on September 16, 1893, both buried in Cedar Creek cemetery. Mr. Gourley, senior, was an early homesteader on Davis creek, and up to his death, took an active interest in local affairs, succeeding in building up a good farm and home. James H. Gourley filed on a homestead on his own account, about June 1, 1872, taking a claim on section thirteen, township fifteen, range eleven, which he made his home farm for many years, and later had his residence on section twelve. He owned two hundred acres of finely improved land, lying along the North Loup river, and was accounted one of the prosperous and progressive agriculturists of the section. In October, 1910, Mr. Gourley traded his farm for one hundred and twenty acres in Sherman county, on Davis creek, and the same month moved to Elba, where he intends making his home. Mr. Gourley was married in December, 1879, to Sarah Waggoner, and, after one short year or married life, Mrs. Gourley passed away. She was a woman of lovely character, and left a sorrowing family and many devoted friends. October 29, 1884, Mr. Gourley was married to Mary Clark, of Noble county, Ohio, and she died February 5, 1900, leaving two children, Raymond S. and Guy Henderson, the former now living with his family at Overton, and the latter in Greeley county, Nebraska. February 12, 1903, Mr. Gourley married Mrs. Harriet (Houseman) Gaast, and they have had three children, Clara May, William Earl (who died when three years old), and Lloyd Allen. Mr. Gourley is a well-known pioneer of his region, and has passed through all the different times for the past forty years, gaining the respect and esteem of all by his energetic efforts to aid in the upbuilding of his locality. He is now, and has been for the past twenty years, treasurer of school district number twenty. Harry A. Sherman, president of the First National Bank of Sargent, Nebraska, and connected with various other local enterprises, is recognized as one of the leading financiers and business men of the region. He was born in Streator, Illinois, November 3, 1870, son of George W. and Ruth (Courtney) Sherman, and came to Custer county with his parents in March 1879, receiving his education in local schools. George W. Sherman was born in Byron, New York, September 7, 1835, next to the eldest of the five children of Reuben and Almeda (Shedd) Sherman, natives respectively, of Vermont and New York. His parents both died in Illinois. George W. Sherman went with his parents to Indiana when but a small child, and, later on, accompanied them to Ottawa, Illinois, where he reached manhood, receiving his education in the home schools. After leaving school, he learned the trade of carriage painter. On January 14, 1866, at Sunbury, Illinois, he married Ruth A. Courtney, a native of Morgantown, West Virginia, and in the spring of 1879, they came to, Custer county, taking up a homestead of one hundred and sixty acres of land a mile and a half northeast of Sargent. They also took up a timber claim. In the early years there was a postoffice named Sargent some time before there was a town of the name, and Mrs. Sherman was postmistress for a number of years. When the town of Sargent was laid out, the postoffice was moved to it, and Mrs. Sherman resigned her position, with the understanding that no change be made in the name of the postoffice. Mr. Sherman was helpful in organizing his school district, and served on the board for a number of years. He was active in public affairs, and served is a member of the county board. In the fall of 1900, he retired from farm life, and moved to Sargent, where he erected a comfortable home, and occupied it until his death, November 11, 1904. He was survived by his wife and two children, Nellie S., Mrs. A. F. Phillips, of Sargent, and Harry A. Mrs. Sherman still lives in Sargent, surrounded by a large circle of friends, and being near both her children. Her father, William Courtney, was also born in Morgantown, and came to Custer county in the fall of 1879, taking up a homestead near Sargent. He married Amy Gapen, a native of Greenburr, Pennsylvania. He died in Lincoln in 1892, and his widow in 1893. Mrs. Sherman has two sisters living in Sargent, Mrs. Sherman and Mrs. David M. Shaw. She also has a sister in Wisconsin, a brother, James D., in South Omaha, three brothers in Illinois, one in Missouri, and one in Iowa. William Sherman, brother of George W., came with his family to Custer county in 1879, and now resides in Sargent. Harry A. Sherman, as before mentioned, was brought to Custer county when about eight years of age. When in his twenty-first year he entered the state university, studied there a year, and then spent a year in Lincoln Business College. Returning home, he carried on farming until the fall of 1896, when he went to Rochester, New York, and until the spring of 1898, worked in the office of the Rochester Street Railway Company. Returning to Nebraska. he taught in the public schools of Sargent until the close of the spring term of 1901, at which time he became. assistant cashier and bookkeeper of the Farmers' & Merchants' Bank at Sargent, retaining the position until June, 1903, when the bank consolidated with the Custer County Bank under the name of the latter concern. Mr. Sherman became cashier of the institution. The Custer County Bank was the first one organized in the county. On October 14, 1904, the Custer County Bank became the First National Bank of Sargent, of which Mr. Sherman was cashier until March, 1909, then was elected president. This is recognized as one of the soundest financial institutions of central Nebraska, with a capital of forty thousand dollars, surplus of ten thousand dollars, and deposits of over two hundred thousand dollars. The other officers of the concern are: vice president, O. S. Pulliam; cashier, A. F. Phillips, and assistant cashier, R. O. Griffith. Mr. Sherman is also a member of the real estate firm of Miller & Sherman, and has helped build up the enterprise. He is a keen business man, and a public-spirited, useful citizen. On September 10, 1903, Mr. Sherman was united in marriage with Ora S. Spooner, and they have two children, Paul George and Dean Forbes. Mr. Sherman is a member of the Masonic order and the Independent Order of Odd Fellows. In politics he is a republican, and stands for progress and development along all lines. A portrait of Mr. Sherman is presented on another page of this volume. Orrin Manchester, son of Hiram and Angeline (Lawton) Manchester, was born in the town of Pittstown, Renselaer county, New York, February 22, 1844. He was ninth in a family of ten children, one brother residing in Pennsylvania, one in New York on the old home place, a sister in New York, one brother and one sister in Kansas, and another sister, Mrs. Eliza Paddock, living in North Loup, the others being deceased. The father was of English-German extraction, and died in 1871 in New York state. The mother was of New England stock, and she died in New York in the eighties. Mr. Manchester received his education in the home schools, and grew to manhood on the farm. As a young lad, he went to Aurora, Illinois, and from there, in January of 1864, enlisted in Company I, Second Illinois Light Artillery, serving until close of war. He received his honorable discharge at Springfield, Illinois, in June of 1865. After the hundred days' fighting from Chattanooga to Atlanta, Mr. Manchester was with Sherman on his famous march to the sea, then on through the Carolinas, and participated in the battles in that region. He was at Goldsboro when the announcement of Lee's surrender was received, and followed shortly after by the sad news of Lincoln's death. He participated in the grand review at Washington, and proceeded thence to Aurora, where he took up civil life again. Soon after his return, Mr. Manchester was married, January 12, 1866, to Miss Letitia Fikes, at the home of her parents, George and Margaret (Keck) Fikes, near Aurora, Illinois. Miss Fikes was a native of Illinois. Her parents were of German extraction, but born in New York state and both are now deceased. Nine children have been born to Mr. and Mrs. Manchester, namely: George, died October 26, 1903, survived by his wife and two children, who live in Valley county; Lizzie, deceased, at eighteen years of age; Jesse, married, has two children, and lives in Sherman county; Ed, also married, and living in Sherman county, has two children; Frank; John A., at home; Ira, married, and living on the old home place in Sherman county, has one child; Mary, wife of Herman Sperling, has nine children, and resides in Sherman county; and an unnamed infant, deceased. In the fall of 1868, Mr. Manchester moved to Grundy county, Illinois, where he resided until March of 1880, when he came, with his wife and six children, to Nebraska, locating in Sherman county. Here he purchased three hundred and twenty acres of B. & M. railroad land, on which he lived until 1903, when he retired from the farm, and moved to North Loup, purchasing a good home, where he now lives. Mr. Manchester is a successful man of affairs, owns a fine stock and grain farm of six hundred and forty acres in sections eight and nine, township sixteen, range thirteen, in Sherman county, as well as a fine tract of forty acres adjoining North Loup, in Valley county. The Manchesters are among the well known families, enjoying the high-esteem of a large acquaintance. Mr. Manchester served as director of his school districts for some years, as well as in other minor offices of this county. Mr. Manchester is republican in politics, a member of the Grand Army of the Republic and of the Ancient Order of United Workmen. When first settling in Sherman county, Mr. Manchester lived for a number of years in a sod house, and at that time deer and antelope were to be seen in large numbers on the hills. Those years were full of discouragements and hardships. The loss of all crops in 1894 by drought, and by hail in 1896, were but few of the many that beset the early settler. Nothing in this world, that is worth while, is gained without a struggle, and to those early pioneers who braved the dangers of the western plains several decides ago, is due much praise and credit for the changes that have been brought about. Among the early settlers of Madison county, Nebraska, who have been closely identified with its progress, and gained for themselves high reputations as good citizens, may be mentioned the gentleman above. Ebert Olson is a native of Norway, born in Solar on January 12, 1850. His father, Ole Olson, was a shoemaker by trade, and followed that occupation until his death, which occurred when our subject was a small boy, leaving his widow to care for a family of four children. he was confident waited for every man who had the determination to seek the same. He took passage at Christiana on the steamship Nebraska, landing in the United States after in eventful voyage, and going to Wisconsin, where he worked in the pine woods for about six years. In the month of May, 1877, he came to Nebraska, and filed on a homestead on section four, township twenty-one, range four, built a sod house, and started as a frontiersman to develop his land. He met with the usual discouragements, suffering losses at various times from storms, also wild animals, which abounded in the region at that time, and at times was almost tempted to give up his claim. However, as time went on, he was able to add improvements little by little, and raise fair crops of grain, also engaged in the stock business to quite an extent, and begun to accumulate a little property. About the hardest time he experienced was in 1888, when he lost considerable stock in the famous blizzard, which is familiar to all in that territory. In 1894 his entire crops were destroyed by the hot winds, and the following year hailstorms again took his fields of grain. Mr. Olson was married, November 26, 1885, at his home in a sod house, to Miss Martha Volbrecht, who is a native of Pommerania, Prussia. Mr. and Mrs. Olson have it family of six interesting children, namely: Carl, William, Emma, Edward, Clara and Anna. The Olsons have one of the valuable estates and comfortable homes in their locality. The farm contains two hundred and eighty acres, all in the best possible shape, and Mr. Olson is classed among the wealthy farmers of the community. Alvah F. Spooner has been a resident of Custer county since 1884, and of Sargent since 1890, and is held in high esteem by his large circle or friends and acquaintances. He is a representative citizen, and has always shown himself ready to advance the best interests of his community. He was born in Northampton. Massachusetts, August 6, 1834, elder of the two children of Edwin and Emeline (Rider) Spooner. His parents were natives of Massachusetts where they were married November 8, 1831. The mother died June 3, 1840, and the father in Clinton, Illinois, November 11, 1870. In June, 1853, the father moved with the family to Wisconsin, and during the year of his death, came to Illinois. Alvah finished his education in the high school at Northampton, and was nineteen years of age when the family came to Wisconsin. He was married at Madison, that state, April 13, 1858, to Emily Ruth Seedey, and they made their first home on a farm six miles from the city. He taught school in Wisconsin for five winter terms, carrying on farming during the summer season. In April, 1863, Mr. Spooner enlisted as carpenter and employe [sic] of the government, receiving his discharge in the fall of the same year. He returned to his home in Madison, and his wife died in that city, October 2, 1865. They had two children, Justus S. and Edwin C. In 1866, Mr. Spooner removed to Galesburg, Illinois, and there worked at the trade of pattern maker. In 1867, he moved to Sterling, Illinois, and was there married, May 13, 1868, to Emma S. Wilber. They remained in Sterling until 1884, and there their five children were born, namely [sic]: Charlotte S., Fannie M., Fay W., Ora Ives and Jennie Alice. In November, 1884, Mr. Spooner and his eldest, son, Justus, came to Custer county, and secured a homestead south of Sargent, being joined by the remainder of the family in April, 1885. The two eldest sons, Justus and Edwin, are living, respectively, in Texas and in Custer county. Charlotte, Mrs. Jones, lives in Seattle, Washington; Ora Ives married Harry A. Sherman, and they live in Sargent; Fay W. is a merchant in Sargent. Mrs. Spooner died in Sargent, November 18, 1906, sincerely mourned by her many friends. She and her husband made many friends among the earlier settlers, and were active in many circles. Roger T. O'Gara, who at the time of his demise was one of the most respected and highly esteemed citizens of his community, was born near Lake Gara, county Sligo, Ireland, in 1838. His father, Bartholomew O'Gara, was a gentleman born in the old country, and was kept in college by his father until the age of twenty-two. His grandfather, who was one of the landed gentry, took part in the ill-fated rebellion of 1798, and on the collapse of that uprising was stripped or his possessions, and for a time had a price set on his head. Bartholomew O'Gara emigrated in 1850 to the United States, and settled in Providence, Rhode Island where his sons found work in the print mills of Governor Spriggs, while he secured a clerical position in the office. In 1854, he pressed on to the west, where there were greater opportunities, and settled in Juneau county, Wisconsin. He came on to Nebraska in 1872, several years after his son had settled in Cedar county. are the largest and finest on that notably beautiful ridge, in a fine farming country. Mr. O'Gara was a highly educated man, and most of his learning was self taught. When a youth in the mills he kept a book at hand, and while others were idling or doing worse, he was storing his mind with useful knowledge. In the pineries of Wisconsin, while others were drinking and carousing, he was adding to his mental store. The superintendent over the lumber gangs helped him over many mathematical difficulties, and enabled him to acquire a much higher education than young men on the frontier usually enjoy. Refinement and the thirst for knowledge were in his blood. He realized he had a long line of high-minded ancestors for an example, and a character to sustain. On coming to Nebraska, he taught school for several years, and was then appointed to fill out the term of the first county superintendent of schools, and for fifteen years efficiently filled that position to the satisfaction of his constituents, and the delight of W. W. Jones, the state superintendent, who paid him the tribute of saying that at the end of his incumbency, December 31, 1887, the schools of Cedar county were the best organized of any in the state. Mr. O'Gara sustained a severe injury a short time after settling in the county. He was descending into a well, one hundred and thirty feet deep, when the rope, which was spliced near the middle, parted and let him drop sixty-five feet, injuring his spine and fracturing several bones. That he recovered is almost a miracle, and that he could endure the long drives necessary in visiting every district in the county, evidence a fortitude beyond that vouchsafed the average man. A runaway during his years of office added further to his injuries and suffering, which he bore with christian fortitude and patience. After filing on his homestead in 1868, Mr. O'Gara broke part of the raw prairie and returned to Wisconsin for a helpmeet in his frontier home. He was married in Wisconsin in 1870, to Miss Bridget Hayes, a native of Ireland. Her father, Michael Hayes, came with his family to America in 1843, and settled first in New York, coming later to Juneau county, Wisconsin. His ancestors were also implicated in the Irish rebellion in 1798, and lost all their possessions by confiscation; he died at the age of eighty in Wisconsin. Mr. O'Gara died on his farm west of Laurel, July 19, 1906; the wife and mother passed away August 11, 1900, after suffering as an invalid for twenty years. Seven of their children grew to maturity: Patrick, who is in the government service as plant physiologist and pathologist, is stationed now on the Pacific coast after a number of years in the department at the national capitol; he is also a civil, mechanical and electrical engineer, in fact a mathematical and scientific genius. He is a linguist of note, speaking fluently German, French, Spanish, and Italian, as well as his own mother tongue. He has spent much time abroad studying his specialty in foreign countries, and was especially benefited by studies in the Royal Italian departments. Anne, is the wife of Herman Rolfes of Neola, Iowa; Peter Francis, of whom mention is made elsewhere in this work; Margaret Frances is a trained nurse of Sioux City; in 1908 she filed on a homestead near her brothers claims in Fall River county, South Dakota, and resides there for the time being; William H., has a homestead ranch near Smithwick, in Fall River county, South Dakota, and Gilbert also has a homestead ranch in South Dakota, in Custer county, not far from Buffalo Gap. The gentleman whose name heads this personal history is one of the solid and influential citizens of Central City, Nebraska. Mr. Clark is a prominent business man here, being engaged in the manufacturing of cement blocks and buildings of cement, sidewalks, etc. David Y. Clark was born in Schoharie county, New York, June 13, 1841, and was the third of four children in the family of John and Electa (Decker) Clark, both of whom were born in Schoharie county, New York. John Clark was born October 19, 1805, and Electa Decker, March 22, 1806; both are deceased, the former died in New York state in 1868, and the mother in 1879, in the same state. The Clark family settled in Schoharie county, New York, in the early years, and were of Scotch-Irish descent. In 1851 they moved into Broome county, New York, and engaged in farming. The father of John Clark married a Spaulding, whose family dates back to the Mayflower, and the Decker family dates back to Mr. Clark's great-great-grandfather, and was of German descent. David Y. Clark grew up on the farm, and in his nineteenth year went into Michigan where he remained one year, returning to Broome county, New York, in the spring of 1861, and remained on the old home place for a year. On April 10, 1862, Mr. Clark married Miss Lucy A. Perkins, a native of New York state, at the home of the bride's uncle, Elijah Smith, in Broome county, New York. Mr. and Mrs. Clark moved to Cedar county, Iowa, in 1863, Mr. Clark engaging in the wagon and blacksmith's trade. They moved from there to Story county same state, in the fall of 1866, and the next fall of 1867 returned to the old home place in New York state, where they remained until the spring of 1872. At this time Mr. and Mrs. Clark had three children. On March 16, 1872, Mr. Clark, wife and three children moved to Merrick county, Nebraska, were our subject took up a homestead five miles southwest of Lone Tree station, which is at the present time still in the possession of Mr. Clark, and has been added to until there are now two hundred acres, which are being farmed by his son, Frank J. Clark. In the fall of 1889 Mr. Clark and family moved from the old homestead farm to Central City, where they now reside in their pleasant town home, and where, as before stated, he is in business. Mr. Clark in past years has served on the county board. Mr. and Mrs. Clark have had six children born to them: Charles C., a railroad engineer, is married and living in Fort Worth, Texas, and has two children; Grace M., born in the state of lowa, resides at home; Kole, born in New York state is married to John Desch and lives in Central City, Nebraska; Guy W., physician and surgeon, born in Nebraska, is married, has three children, and lives in Ellwood, Nebraska; Frank J., born in Nebraska, is married, has four children, and lives on the home farm in Merrick county; and George A., physician and surgeon, was born in Nebraska, and resides in Ellwood, Nebraska, where he enjoys a good practice. Mr. and Mrs. Clark and children are of the pioneer families of Merrick county, Nebraska, and have a wide acquaintance and hosts of substantial friends. Mr. Clark is a successful man and is known for his integrity and general worth. He has in past years been active along political lines, and always up and doing for the betterment of his home town and state. NOTES: According to her marriage record & 1900 Census, the second daughter was named KATE. August Hanefeldt, a prominent farmer of section twenty-four, township thirty, range five, Knox county, Nebraska, where his genial countenance and friendly spirit have made him hosts of well-wishers, which his manly character and genuine worth have long retained, was born in the province of Prussia, Germany, in 1858. He was a son of Gottlieb and Henrietta (Schulz) Hanefeldt. The boyhood days of our subject were spent in his native land, and he received his education there. When he grew to manhood's estate he served his country in the army two and a half years. When he had reached the age of thirty years he decided to seek his fortune in the new world, and sailed from Hamburg to New York on the steamship "Veland," and landed in New York City in 1888. He then started for the west and reached Knox county, Nebraska, in the fall of 1888, and bought the homestead of William Kyriss, in 1889, consisting of three hundred and twenty acres. In 1883, Mr. Hanefeldt was united in marriage to Miss Adelia Witt, and Mr. and Mrs. Hanefeldt are the parents of six children, whose names are as follows: Annie, Emil, Willy, Emilia, Alfred, deceased, and Max. Mr. Hanefeldt is regarded as one of the leading citizens of his locality, and has always been interested in the growth and upbuilding of his county and state. Mr. Hanefeldt and family enjoy the respect and esteem of all who know them, and are surrounded by a host of good friends and acquaintances. George L. Young, who occupies a handsome residence in the city of Fullerton, is one of the prominent citizens of that community. He is an old-time farmer and has been prosperous and successful in all his various undertakings, and himself and family are widely and favorably known throughout Nance county, where they have been active workers socially for a great many years, our subject serving as superintendent of the Sabbath school for over fifteen years, while Mrs. Young has done her full share in the affairs of her neighborhood. Mr. Young is a son of Lyman H. and Emeline Young, and was born in Warren county, Illinois, on October 6, 1855. He received his education in his native state, together with his six brothers, all growing to manhood on the home farm. He followed farming there until he reached the age of twenty-six years, when together with his brother, Levi E. Young, and a cousin, G. F. Cole, came to Nebraska, locating in Nance county. Here he purchased a quarter section of land on section ten, township seventeen, range six. This tract or land was unimproved, and he went to work to build it up which he did in a short time, making it a valuable property, and also was instrumental in a large measure in developing that part of the country. He has been very active in all affairs pertaining to the advancement of the section from the time of settling here, assisting in building up the schools, etc. For a number of years he held the office of director of district number thirty-one and has served as clerk of Cedar precinct, for several years. Mr. Young was married on January 21, 1885, to Maggie A. Moore, of Boone county, Nebraska. Mrs. Moore is a lady of charming personality, and had been a popular teacher in the Nebraska public schools for some time prior to her marriage. To them have been born ten children, eight of whom are living, as follows: John M., living in Nance county; Emeline H., who married E. O. Stark, residing in Montana and the parents of one son and one daughter; Harry E., Alta B., Iva G., Lawrence and Lyman, (twins), and Mabel A., all living at home, except Emeline H. and Harry E., who reside in Montana. One son, Charles E., and a daughter, Sadie A., are deceased. Mr. Young has four brothers living, Stephen N., of Missouri; Clark M., Levi E., and Doctor A. Young, making their home in Illinois. Their father died on July 12, 1894, while the mother is still living at the ripe old age of eighty-six years. In March, 1909, Mr. and Mrs. Young gave up farming and moved to their present home, which is a beautifully kept place, and here they plan to spend the declining years in the enjoyment of every comfort after their many years of toil. While Mr. Robert Shunn is not a native born citizen of the United States, there is no more loyal supporter of its government and traditions within its borders today than he. He was born in Toronto, Canada, November 22, 1862, which remained his home for about eight years, when his parents immigrated to Iowa. After a short time in that state they came on to Nebraska, locating near Sutton, in Clay county, on an eighty-acre farm. There he grew up, and in 1881 the family went to Kansas, returning to Nebraska in 1891. The parents settled in Spencer and made that their home for about six years, then going to Minnesota and remaining for seven or eight years. When Gregory county, South Dakota, was opened for settlement, our subject's father moved there and has farmed in the locality since that time. Robert Shunn started out for himself when but sixteen years of age, obtaining farm work to be near his parents' home. After a time, he drifted to Hot Springs, South Dakota, and there was employed in various lines during some months. In 1882 he was employed by Nick Elmore, a contractor on the construction work of the Burlington railroad through Colorado and Wyoming, remaining with the outfit for two years. He came to Boyd county in 1890 and squatted on a quarter section situated three miles east of Spencer, and filed on the tract as soon as the land was thrown open for settlement. He at once started farming and stock raising, and was very successful in both lines of work up to the time of his removal to Spencer, in 1903. Mr. Shunn developed a fine farm, having it well stocked with good horses, cattle and other stock, and retired with a competence, now occupying a comfortable residence in the thriving little city of Spencer. Mr. Shunn was married in Holt county, November 8, 1891, to Miss Della Verley, a native of LaFayette county, Wisconsin, who came to Nebraska in 1881. Three children have been born to this worthy couple: Cecelia, William and Victor, all of whom are still under the parental roof. This gentleman is another of the many who through industry and perseverance, have acquired a competence and are now enabled to live in comfort and enjoy the fruits of their early years of labor. He was for many years well known among the farming community of Boone county, but is now retired from active labor, occupying a handsome home in Albion, where himself and family are surrounded by a large circle of acquaintances who make his latter years a pleasant holiday. Henry Clark was a son of W. C. and Sarah K. Clark, of County Kent, England. He was born on June 7, 1852, and came to America with his parents in 1865, locating in Delaware county, Iowa, where the father engaged in farming, and there he grew up, assisting his father in carrying on the home farm. When he was twenty-five, he came to Boone county, Nebraska, purchasing a timber claim of one hundred and sixty acres and the same amount of railroad land, after which he returned to Iowa and spent two years, coming back to Nebraska in 1879 for permanent residence. He filed on homestead rights on the land which he had before taken as a timber claim, the trees having failed to grow properly, and made the place his home for about fifteen years. In the meantime he purchased one hundred and sixty acres on section twenty, township twenty, range six, near Albion, and farmed this land up to 1906, then settled on a farm situated one mile northwest of Albion. Here he remained for one year, then retired from active farm life, since then making his home in Albion. He has been prosperous and successful, owning about four hundred and eighty acres of land, one hundred and sixty acres of which is well improved, also considerable city property in Albion, including his present home which he built in 1909 and now occupies with his wife. During the eighties Mr. Clark served as moderator of school district number two. 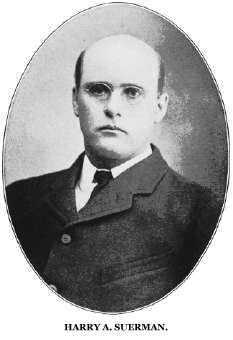 Mr. Clark was united in marriage to Elio E. Fleming, of Iowa, on May 9, 1882, and to them was born one daughter, who died in infancy. They have also raised and educated two boys, one of whom, Charles Wallick, died leaving a wife and two children; and E. B. Smith, now living with our subject and his wife. Both the father and mother of Mr. Clark are dead. He has four brothers living, one of whom still resides in England, one in the state of Washington, one in California, and another is a well known resident of Albion. Mrs. Clark's father, Philip P. Fleming, is dead. Her mother and one brother live in Albion, and a sister makes Garden county her home.